Achieve Your Goals & Finish Strong! With a little over three months left in the year. Right now is the ideal time to go over your 2018 goals and make sure you have everything in order to finish strong. The following review should help keep you on track and ensure your success. Don’t wait another day to get a handle on your year-to-date numbers, if you haven’t already. Figure out what you need to do to accomplish your 2018 goals with the time remaining. Figure out how many closings it will take and how many listings are needed to achieve those closings? Work the math to see how many new contacts you need to make, to get the number of appointments to secure a listing, based on your closing ratio. This will tell you the number of listings needed to realize your goals. Once you have this number, break it down to its simplest form. How many new contacts do you need to make weekly and daily? Then create a daily schedule to meet these goals. Make a commitment to stick to this schedule and not allow anything to throw you off track. This time of year is filled with holiday gatherings and neighborhood invites. And the holidays make it super easy to reach out and connect with your customer base and farm. Take advantage of all the opportunities to connect with everyone throughout the season with Fall, Halloween, Thanksgiving and Christmas Holiday Postcards. Don’t forget to layer and add to the effectiveness of your postcard marketing with a happy holiday phone call. Call every existing customer you have and wish them a happy holiday season. Be sure they know you’re on top of anything related to real estate and are the expert resource to turn to for all of their real estate needs. Before you hang up – ASK FOR A REFERRAL. I know it is uncomfortable to ask someone for what feels like a “favor”, but remember you are doing them a favor by providing expert help to someone they know. I personally enjoy the opportunity to refer a great restaurant, hairstylist, repairman, or health professional to someone I know. The reason for this is because I know how difficult it is to discover great resources. We’re all searching for the “best of the best” and love sharing this information once a business is discovered. The people in your customer base are no different. Allow them the opportunity to become the provider of a great resource. Most people will forget to make a referral unless something or someone jogs their memory. Be the person to jog their memory while on the phone with them! Don’t leave your marketing to chance. This time of year it’s easy to get busy. That’s when things like marketing and prospecting fall through the cracks or take a back seat. Put a plan in place today to make sure you have marketing systems active and scheduled through the end of the year, so you stay top-of-mind all the way through the season. This plan includes showcasing your Just Listed, Open Houses, and Just Solds for the greatest impact, exposure, and results. Remember, if you did an especially impressive job of getting that new listing under contract fast or at a great list-to-sale price ratio, add that subheading to your Just Sold Postcard! This information can be the differentiator in a competitive market making you stand out head and shoulders above the rest. Set aside 20-30 minutes each week to review what changes you need to make to your current marketing plan based on your previous week’s activity. Then get your order out for whatever Holiday postcards, Just Listed/Just Sold or Open House postcards you need to send that week. Knocking out your marketing at one time each week gives you a lot more time to prospect, present and close – the three things closest to your bottom line. As they say, it’s never crowded along the extra mile. With three months remaining, this is an ideal time to push beyond your commitment goals a bit. If your goal is to make 10 phone calls a day, consider what would happen over the next month if you pushed that goal to 15 calls a day? Here’s a goal to add to your list that will provide long-term success and make things interesting, commit to adding at least one new person to your prospect list each day regardless of what it takes. This means if you’ve made 15 phone calls and some neighborhood cold calling, yet still don’t have a new person to add to your prospect list, you keep going until you do. If you only committed to that goal for the next three months, it would result in over 90 additional prospects by the end of the year. The truth is the bottom 80% of agents in your industry won’t be doing any of these things over the next 90 days. Many will look at how far they are from their goal and give up. Many will do the basics and continue to live commission check to commission check. It will be those of you who strike out and stay laser-focused who will end up on top this year, crushing your goals and kick-starting 2019 with passion. Where do you want to be in three months? The top 20 or bottom 80? What you do in the next three months will make all the difference in how your ends and the new year begins. Kick off your 2018 year-end goal countdown by ordering at least 100 Holiday postcards to send out to your sphere and farm! Make sure you stay top of mind with the people that matter most! We’re willing to wager that the first day in your new office you sat around and stared at a blank computer screen while listening to the conversations around you about client deals and commission checks. Made you feel like a fish out of water, didn’t it? The good news is that, like any new thing, you’ll get used to it, learn and hopefully become more successful than you’d ever imagined. But, it starts with a deal. Just one deal. And, for that, you’ll need a client. It’s a good thing you’re visiting ProspectsPLUS! because we’re about to walk you through some brilliant ways to connect with that one person who will get you started down what we hope is a long and prosperous career. Carry as many business cards as you can and hand them out to everyone. The guy who makes your coffee in the morning, the dry cleaner, your kids’ teachers and everyone you interact with at the gym. But handing out business cards is just a baby step. You need to get found and one of the best ways to do that is with a website. NAR tells us that 51 percent of their 1,334,668 members have had a website for at least five years. It’s a surprisingly low number when you consider how much business you can get from your site. Even more surprising is that only 9 percent of REALTORS® have a blog – one of the best traffic generators if done right. The typical homebuyer searches for homes online before doing anything else, including seeing if they can even qualify for a mortgage. If you don’t have a website, there is no way you’ll be found. So, while you’re sitting in your cubby at your broker’s office, work on getting a website (with IDX, a blog and a system to capture leads) up and running. This list comprises your network so you’ll need to further refine it to narrow it down to only those people over whom you have some influence. This is your sphere of influence. “Think about it as the people who would see a movie, read a book, or try a new restaurant because you recommended it,” suggests the pros at Contactually, a CRM provider. Don’t toss the original list because many in your network will eventually be added to your sphere. Right now, you just want to reach out to folks that you have been in contact with over the past year or so. Your goal is to, first, let them know that you now have your real estate license and steer them to your website or Facebook page. Aside from calling each one, the best way to get the word out is via social media. But, since not everyone in your sphere is likely to be a friend on these platforms, email or snail mail is the next best way to announce your new venture. Although later in your career you’ll want to avoid overt, heavy-handed and frequent self-promotion, right now, it’s a must. In fact, you may need to beat people over the head (metaphorically, please) with the fact that you now help people buy and sell homes. A marketing postcard is the ideal medium to use to announce your status as a real estate agent. Send one to each person in your sphere. Then, never mention again that you are a new agent. All future contact with these people should offer something of value, with no reminders that you’re fresh out of real estate school. What would be considered valuable? A market report, the offer of a free market analysis of their home, news of a neighbor’s home for sale, homeowner tips, etc. With a monthly Community Newsletter, you can work in all of these topics and more. We understand that, right now, it seems as if finding that first client may be an elusive dream. But, take the steps to market yourself effectively and that client will appear. Send out the New Member of the Family postcards from the Agent Introduction Series to all of the contacts you have added to your brand new Sphere of Influence! Although it depends upon whom you ask, estimates vary about the average length of time a real estate agent stays in their career. Trainer Tom Ferry says that 87 percent wash out within five years and others say that the churn rate is around 95 percent. If you’re a new agent who hopes to be in it for the long haul or an established one who is facing challenges, read on to understand some of the stumbling blocks you may face and how to overcome them. When that sense of security settles over you, when you decide that being average is good enough – wake up! NAR’s member survey claims that fewer than one-fourth of REALTORS® earn more than $100,000 annually. The median earnings, at least according to the Bureau of Labor Statistics, is $44,090. An Active Rain survey of these agents finds that they spend more of their incomes on tech upgrades and 10 times more on marketing than the poorer agents. Remember the NAR member survey we mentioned above? Ever wonder what separates the two groups of earners (aside from experience)? Those who earn more aren’t afraid to spend the money necessary to set them apart from the rest of the agent-pack in their area. The wealthier agents spend their money on their websites, their CRM, and email marketing. In fact, this group of agents spends 10 times more on marketing than the lower-earning agents. Keep hanging on to every last nickel and you’ll fail. It’s as simple as that. We have one of those in real estate: “When you list, you last.” When you consider that your listings will generate far more clients than your buyers will (if you work them properly), you understand the dictum. Servicing a listing is also a lot less labor-intensive than working with a buyer. Focusing on listings “will allow you to get what you want a lot faster and allow you to have a life,” according to real estate trainer Knolly Williams. How much is “mostly?” The experts recommend that 60 percent of your business should be listings. One of the most amazing real estate statistics to come out of the NAR is that the majority of real estate consumers (85 percent, according to the latest survey) loved their agent so much that they promised to use them again in the future. This is a direct result of a failure to follow up on the agent’s part. The most awesome closing gift ever given won’t make these people remember you five years down the line when it’s time to sell their home. Especially if another agent has been farming them or otherwise getting their name in front of them more often than you do yours. Inconsistent or non-existent follow-up is like throwing money away and a surefire way to sabotage your business. Consider this: a 5 percent increase in your client retention rate can bump your income as much as 95 percent, according to research by Harvard Business School. Don’t neglect others in your sphere of influence, either. 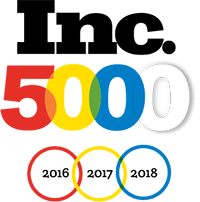 According to NAR, as much as 65 percent of your business can come from that pool if you consistently reach out to them. Don’t worry about how to keep in touch. Put these people on a drip campaign and send out postcards, newsletters, market updates, free reports and anything else that will keep you top-of-mind. It’s difficult to remain focused on your goals if you lack a plan. Guessing or hoping that you meet your objectives isn’t smart. An assumption of where you stand at any given moment is about as accurate as a Zestimate of a property’s value. Avoid the hit-or-miss chaos and make a business plan. Yes, it’s boring and yes, it’s time-consuming. There are lots of guides online to help you, but we’re rather partial to the ProspectsPLUS! Real Estate Business Plan. Don’t accept being an average agent, spend the money it takes to market your business, chase listings instead of buyers, send past clients lots of love, and create and follow a business plan. THAT is how to ensure your success and tenure in real estate. 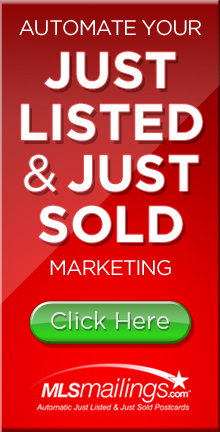 Need help targeting the perfect niche of buyers or sellers? Use our mailing list tool to create the ideal list or call our support team for assistance at 866.405.3638! Start going after those listings today! Send the Take Advantage of the Market postcard from the Listing Inventory Series to at least 100 prospects in an area where you want more listings. 2. The Free 2018 Real Estate Business Plan. 3. 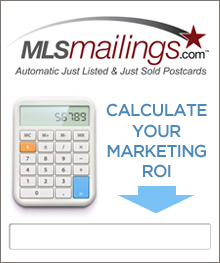 The Free Online ROI Calculator. Want to Refer a friend or colleague? Refer them, Here. THEY get a Free $25 Gift Card and YOU become their hero! Dean Jackson takes your game up another notch by disclosing the steps to becoming a “Market-Maker”. Learn how to differentiate yourself, become the wise insider, and disrupt your market. Dean Jackson is the founder of GoGoAgent and Listing Agent Lifestyle. On a fundamental level, the real estate business consists of finding one person who wants to buy a home and finding one person who wants to sell a home and matching those people up. Most agents begin focusing on finding a buyer after they get a new listing. In fact, often agents are only focused on getting listings because their belief is they need these listings to be able to find buyers. But what if you reversed this thinking? What if instead of matching buyers and sellers, listing by listing, you become a Market-Maker who’s truly controlling your market? How powerful would it be to show up at a competitive listing appointment with a buyer who already wants to buy the house or a list of people who are interested in a house like their home? There is nothing more powerful than this position because you’ve got the very thing that the seller wants more than anything. Even if you brought this buyer to an appointment where the seller was thinking of listing with their mother, if all they had to do was sign with you and their house was sold, mom would be out. Yeap, they would sell their mother out in a second because self-interest always wins, and their self-interest is to find a buyer. That’s an extreme example but I guarantee you if you line up the four best listing presentations in your marketplace to compete against and you arrive with a buyer who says, “How much would you like for the house?” and “I’ll take it,” nobody’s getting that listing but you. When you see listing appointments from this perspective, it makes the most sense to focus on already having buyers whenever possible. It will always give you an advantage on the listings. As an internal case study, I spent some time running my “Getting Listings Program” with the intent of find lakefront home sellers in Winter Haven (where I live). At the same time, I marketed home and land ads for buyers looking for lakefront homes. It wasn’t too long before I received responses from interested parties. One of those responses was a phone call from someone who’d seen my marketing about the “new lakefront homes that were coming onto the market”. He told me he sold his house in Stuart and was looking for a lakefront home in Winter Haven. Then literally within an hour of getting that call, I received an email from a home seller on Lake Ruby. She stated, “I’ve been getting your marketing pieces for the last few months and we’re ready to sell our house.” This house actually was a perfect fit for my buyer from Stuart. It was such a perfect coincidence I couldn’t have scripted it better. The results of my case study really solidified my understanding that the very best thing you can have in a competitive listing arena is a buyer or access to buyers. While everyone else is talking to sellers about, “Once I list your house we’re going to do this and this, and this to find a buyer”, you are going to set your self apart. Your talk track will be, “I started looking for the buyer for your house 180 days ago by doing this, and this, and this, and right now I have a pool of these buyers who are looking for homes just like yours”. To be able to match buyers and sellers up in this way, triangulating them, that’s where true “Market-Making” lies. Now, you’ve got insider information and access to people who are thinking about buying a home, and you’ve got insider information on people who are thinking about selling their home. All that is left is to match these people up. And that’s where you’re adding value and differentiating yourself because no one else will be attacking a market in this innovative and far-reaching way. To learn more about the other incredible tools and resources Dean has available for agents go to GoGoAgent.com and ListingAgentLifestyle.com. Start collecting your pool of buyers now by sending the When Moving Makes Sense postcard from the Move-Up Market Series to at least 100 prospective buyers. Want to Refer a friend or colleague? Refer them Here. THEY get a Free $25 Gift Card and YOU become their hero! New agents, tortured by what feels like an enormously long wait between license application and receipt, typically tend to want to hit the ground running the minute that license is in the broker’s hands. It’s only natural to want to jet down the runway to success, but how will you get from here to there? That’s what a business plan is: a roadmap of how to reach your income goals from where you are right now. Once you’re familiar with the real estate terrain, and you know the shortcuts, the map may feel like an unnecessary encumbrance, but it’s not. Business plans aren’t static and require tweaking as you move up in your real estate career. Your sphere of influence grows, requiring the use of good contact management software. Your personal expenses may change and you will no doubt need to adjust your marketing expenses along the way. The process of creating a “roadmap for success” for the new agent is a bit challenging, though. I mean, you have no past expenses with which to estimate a budget. How do you plan for marketing when you don’t know how much money you’ll have to play with? You estimate. It’s that simple. Make a realistic determination of where you want to be in your new business by the end of your first year. This should include both a financial goal (how much money you’ll make) and other goals as well. For instance, your goals may include adding 100 people to your sphere of influence or to come up with a killer listing presentation. A financial goal could be planning to put aside a certain dollar amount to buy additional tools. To come up with an accurate budget requires understanding your personal as well as business expenses, both fixed and variable. Start with your personal expenses, such as your house payment or rent, what you pay for utilities, groceries, entertainment and the like. This will give you an idea of the total amount of income you’ll need to cover these expenses. Determining your business expenses will be a bit more challenging since you have no figures from last year on which to base your assumptions. Breaking these expenses into smaller chunks will help you get a handle on them. Startup expenses: These include your NAR, state and local association fees, MLS dues, lockbox expenses and the cost of any tools you’ll need to buy to get going (laptop, software, website expenses, etc.). Marketing expenses: You’ll need to market your business as well as any homes you may list this year. We offer a series of Agent Introduction, Listing Inventory and Just Listed postcards that will get you off on the right foot. Ongoing expenses: Your automobile gas budget is about to explode now that you are part of the real estate industry. Plan on spending a good deal of your budget on your vehicle – maintenance and gas for starters. Then, there are your phone, internet, web hosting and the other costs that will recur routinely throughout the year. This is the trickiest part of your business plan, but the most critical as well. You’ll want to estimate how many sides you’ll need this year to get the money you want to make. This means figuring out how many prospects it will take to get a transaction, knowing the average sales price in the area in which you work and crunching some numbers. We have put together the perfect simple yet effective business plan worksheet to help you do these calculations. You can find it online here. Once you know how many listings or sales you’ll need each month to reach your financial goals, you’re on your way to success. It’s time to introduce your new status to the world (or at least your corner of it). Send out the Neighborhood Specialist postcard from the Agent Introduction Series to at least 100 new prospects in an area you want listings.